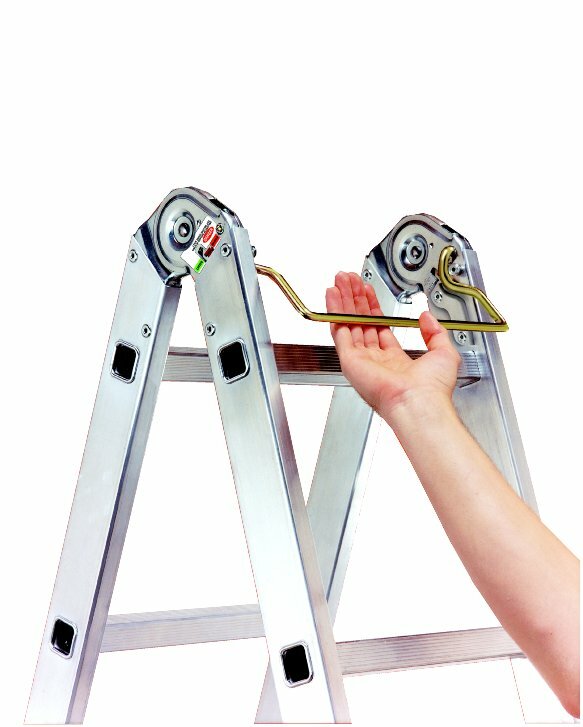 It's Twelve Ladders in One! 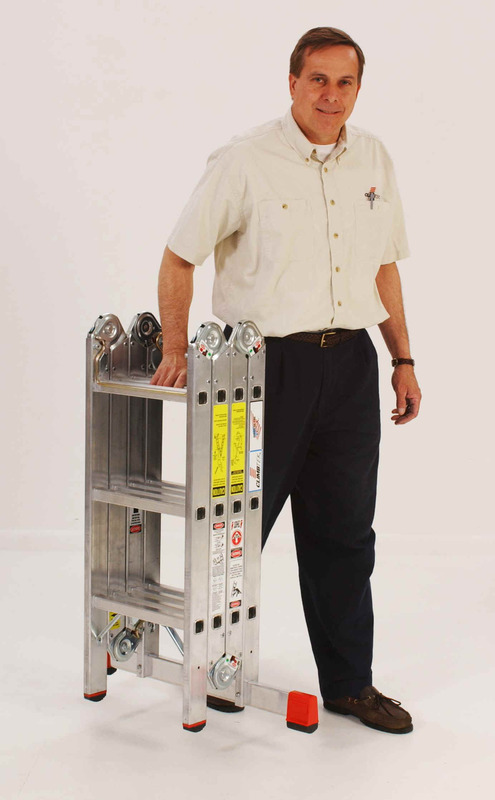 This rugged, one-of-a-kind ladder is sturdy, lightweight, safe to use, and folds up compactly to fit in the trunk of your car, closet, or garage. 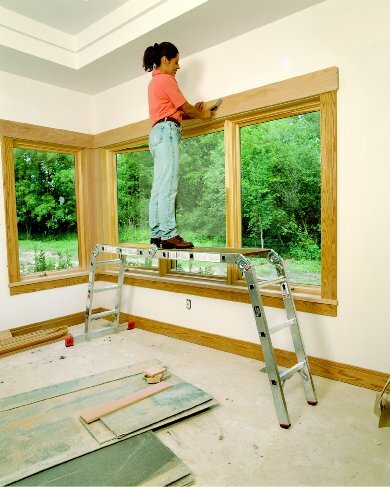 But best of all -- it's actually 12 ladders in one -- easily adjusting to become a two-person stepladder, a straight ladder, a scaffold, and 9 other handy positions! 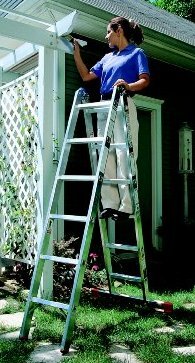 "I love this ladder! 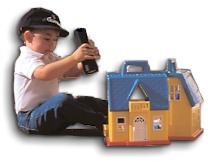 I use it everyday to conduct property inspections, and it has never let me down." Single-hand release rod allowing for easy hinge adjustment. Red lock bolt and label immediately identify the locked or unlocked hinge position. Release guard for added safety. 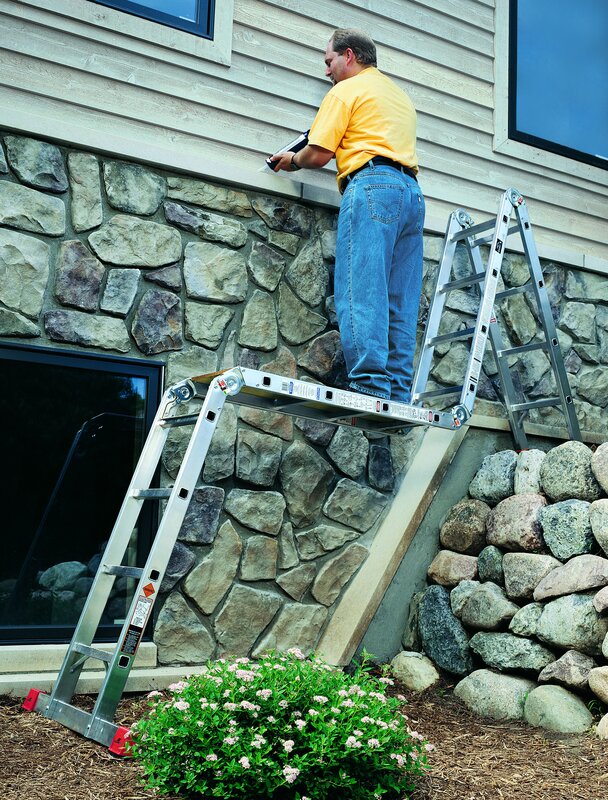 Durability, security and strength without adding additional weight. A more secure grip for better stability. A smooth surface allowing for easier cleanup. Grooved surface to provide slip resistance.